Silver Metal Clay is a revolutionary new medium from Japan, which allows you to create 99.9% pure silver jewellery. It consists of very small particles of silver mixed with an organic binder and water. The metal clay can be moulded and textured, it is then fired with a torch or fired in a kiln to transform it into silver. 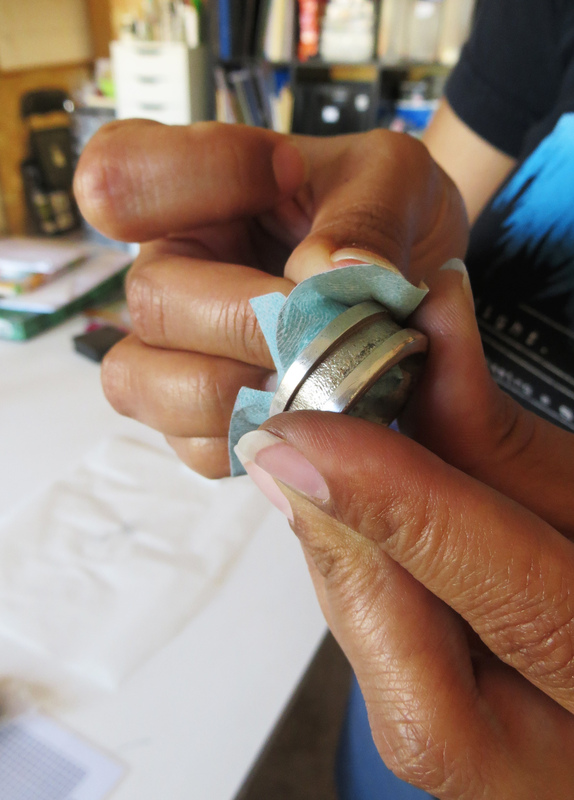 The class will focus on two methods for making silver metal clay rings. Explore texture for a flat band ring. This ring is made and decorated flat, then after firing in a kiln, it is shaped around a mandrel. The ring can be left open – so the size can be adjusted easily – or it can overlap. 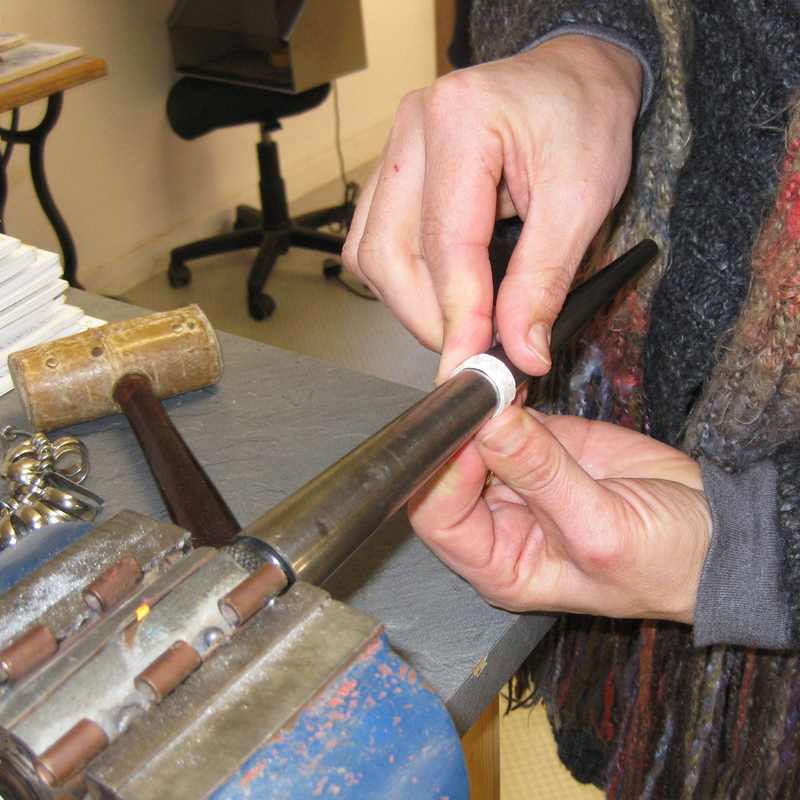 The continuous band ring is more challenging as it will be made to a specific size. This type of ring can be embellished with added textures or filigree pattern. Level: Some metal clay experience is necessary. Class fee $150 plus includes 16grms PMC value $60. Additional clay will be available for the enthusiastic student.